Home / Blog / Why are Spiders Important and What’s Their Purpose? Understanding the purpose of spiders, and a few fun facts about spiders can help ease some nerves and make them less scary. Find out more below! There are many benefits of spiders. First and foremost, spiders eat insects. While, the details can seem a little gruesome if you think about an unsuspecting insect being caught in a sticky web and consumed by an eight-legged arachnid, the fact is that spiders keep the numbers of bloodsucking, disease spreading, crop destroying pests under control. That is something we can all appreciate. A few more interesting, and lesser known facts about spiders include the benefits they are providing for medical research and product development. Spider venom has the potential to act as a safer painkiller, and may be able to treat strokes, muscular dystrophy, and of course, is used for antivenom in cases of harmful spider bites. The silk spiders use to spin webs is one of the strongest materials ever discovered. It may not seem like much when you’re swatting it away with your hands, but the tensile strength of spider silk is comparable to high-grade alloy steel. Determining the importance of spiders really depends on who you ask. A gardener or farmer is likely to recognize how helpful spiders are at preventing pests from destroying crops. A doctor, scientist, or engineer may appreciate the innovative possibilities related to the study of spiders. However, the average homeowner would likely argue that spiders don’t belong anywhere near them because spiders are gross, creepy, and scary! Being scared of spiders is a normal response, and it makes sense because there are a few types of dangerous spiders. However, most spiders generally prefer to avoid contact with people. Even in instances of spider bites, healthy adults can usually survive without serious consequences. Just because you don’t want to see any spiders inside your home doesn’t mean spiders don’t serve an important purpose. Keeping spiders outside where they belong is the best way to keep everyone safe, happy, and healthy. Before we tell you how to get rid of spiders, let’s just take a moment to enjoy a few cool spider facts. Spiders have either six or eight eyes depending on the species. Despite having so many eyes, many spider species have poor eyesight. They make up for it with the tiny hairs that line their eight legs. The hairs are able to detect scents, helping spiders find food and potential mates. Spiders are found on every continent, except Antarctica. All spiders produce silk, but not all spiders spin webs. Some spiders are actually kind of cute. A spider’s leg hair is also designed to sense vibrations, such as when prey lands on their web. This is one reason why they don’t like areas with a lot of action or noise. Trapdoor spiders have been documented to live up to 35 years in the wild! The Goliath Bird Eating Tarantula is the largest spider in the world, which can reach up to one foot long in body length and have fangs that are a full inch long! Don’t worry, its natural habitat is in the rainforests of South America. Getting rid of spiders is a common request among homeowners, but finding a safe and effective method of spider control is crucial. No one wants pest control that harms to people or pets. There are a few steps you can take to get rid of or prevent spiders in your home naturally. The first thing you can do is keep a clean home, clear of clutter and debris. Spiders prefer to hide in sheltered, undisturbed areas such as behind an old bookshelf, in a rarely used closet, or down in a dark, dusty basement. Next, make sure you maintain a pest free home. Spiders won’t live somewhere without an adequate food supply, so keeping other pest problems under control will also control spiders. 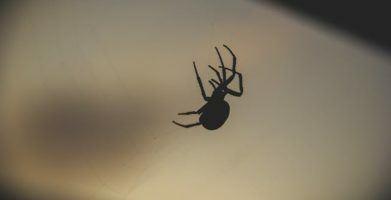 Don’t neglect repairing any damaged window screens, weather-stripping around doors, and any other small gaps or openings around your home that a spider might use to get inside. 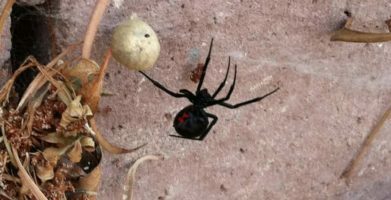 Finally, take a moment to learn more about the habitat of a spider so you can better understand how they get into your home, and how to keep them out. They can at least be a little less scary looking or more cute. And if they are so helpful why are they poisonous and why do they bite humans? Why can’t they just live outside and stay outside? I get it– they are not pretty to look at. Just the sight of a spider gives me a shiver! But the truth is, most spiders aren’t harmful to humans at all! Their prey is insects, not us! Of course, it’s important to be able to recognize certain common spider species you want to avoid (like the black widow and the brown recluse), but for the most part, spiders aren’t here to bother us. Thanks for your post! This morning at the bus stop a little girl was killing spiders while waiting for the bus, I asked my boys to please leave the spiders alone and not to kill them, the girl told my boys it was ok to kill them because they are just spiders and are useless…. When they get home from school I’ll be reading this to them and we’ll talk some more about spiders. I’m so glad this post has been helpful to you! The more we learn about spiders and other creatures, the easier it is to appreciate them. A spider’s leg hair is also designed to sense vibrations, such as when prey lands on their web. This is one reason why they don’t like areas with a lot of action or noise. string(53) "Why are Spiders Important and What’s Their Purpose?"